Footage of atomic bomb tests in the desert. 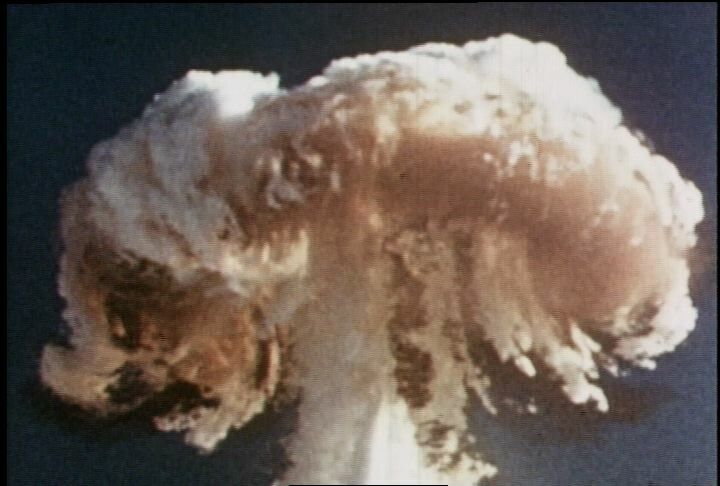 Chicago: “War and Peace in the Nuclear Age; Bigger Bang for the Buck, A; Atomic Weapons Orientation,” WGBH Media Library & Archives, accessed April 21, 2019, http://openvault.wgbh.org/catalog/V_B51A4D07F96245AA929A371E0C5C1E5C. MLA: “War and Peace in the Nuclear Age; Bigger Bang for the Buck, A; Atomic Weapons Orientation.” WGBH Media Library & Archives. Web. April 21, 2019. <http://openvault.wgbh.org/catalog/V_B51A4D07F96245AA929A371E0C5C1E5C>.